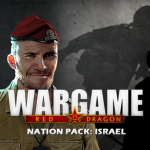 Nation Pack: Israel will be released tomorrow, on Tuesday, October 4th, at 12PM EDT / 9AM PDT (check the time in your time zone here), bringing 96 new units for this nation to Wargame: Red Dragon. 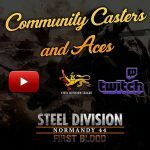 We’ll be on Twitch at 12:30PM EDT / 9AM PDT to play against our community. So, here is an exhaustive review of the Israeli roaster ingame. 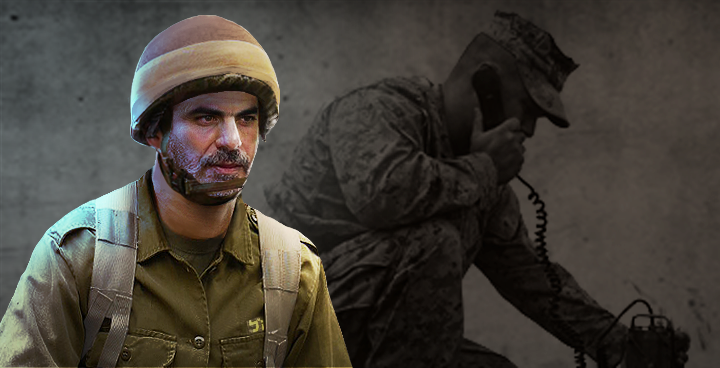 – as each and every country ingame, Israel will have a FOB, the only ingame building, to re-supply & repair friendly units. – Tzahal’s workhorse when it comes to hauling supplies back & forth between the FOB and the frontline is the good ol’ M35 2½-ton cargo truck, nicknamed Rio in the IDF. – in the early 80’s Israel started upgrading its cargo truck fleet with Oshkosh heavy trucks, more commonly known in Wargame as the HEMTT. – finally, the last cargo unit is the CH-53D heavy helicopter, known in Israel’s service as the Yas’ur. – the M325 Pikud is Tzahal’s lightest command vehicle, a soft skin light truck similar to most other countries’ command jeep. – salvaged from the previous Israel-Arab wars, the BTR-40 Pikud is the open-top, command variant of the Soviet recon vehicle. – Mugaf is the Israeli name for the American M577 CPC. – the Achzarit Pikud is the command variant of the heavy APC Achzarit, an Israeli original unit (see VEHICLES below). – the Merkava Pikud is Tzahal’s command variant of the Merkava I MBT. 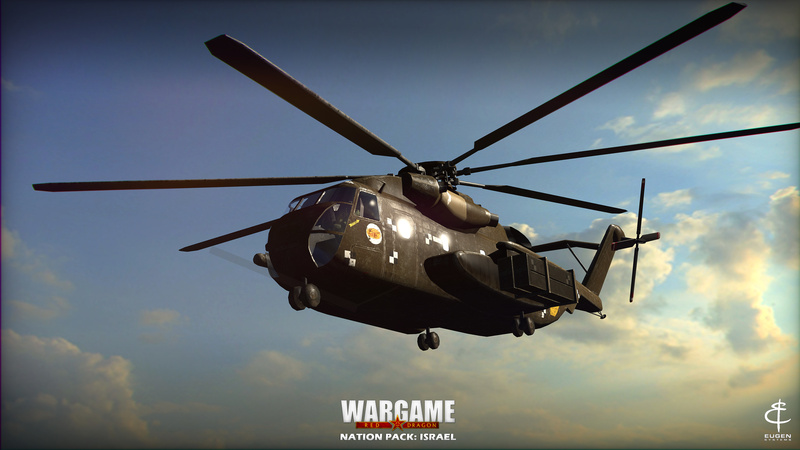 – as most country ingame, Israel will get a command helicopter in the form of the Saifan Pikud (= Bell 206). – and finally, the IDF will have a 5-men infantry command squad, named Hapak. – the backbone of Tzahal’s infantry is the Rovait squad, that is regular riflemen. They will come in two variants, “vanilla” & ’90. – regarding anti-air specialists, Israel will rely first on the Bazak (= Redeye), then on the Barkan (= Stinger A) 2-men MANPAD teams. – as for anti-tank crews, Tzahal’s sole one will be the late (1987) 2-men Dorban-LR team, armed with the deadly Spike-LR ATGM. – as other nations in the same situation, Israel was granted fire-support squads to compensate for its lack of Cat-C & B ATGM teams. They will come in the forms of two 5-men FIST squads: Gavnuni, armed with M47 Dragon (identical to the Dutch Vuurploeg squads), and Mesaya’at, armed with a Mk.19 automatic grenade-launcher. – Israel’s shock troopers will be the Tzanhanim paratroopers, also coming in two variants, “vanilla” & ’90. Armed with SMG or Carbines, and packing heavy AT squad weapons, they will be able to deal with most threats. – another Israeli shock infantry unit will be the members of the Givati amphibious brigade, acting in Wargame as 15-men naval infantry squads. The brigade having been reactivated in that role only from 1983, this unit will only come in a single 1985 setting. – and finally, Shayetet 13 are the Israeli Navy’s dreaded elite commandos. – the IDF has two mortar-carriers: Laish, the ubiquitous American M125 with a 81mm mortar, and the indigenous Makmat. The latter is a hybrid vehicle, mounting a heavy Finnish 160mm mortar on a turretless M51 Isherman chassis! – regarding 155mm tube artillery, Tzahal fields two different weapon systems: the also ubiquitous American M109 SPG, declined as the Rochev (= M109A2) & Doher (= ~Dutch M109ANL) ; and the heavy Sholef, a prototype SPG combining a Finnish 155mm gun with a Merkava chassis. – the heavier tubes are provided by the 203mm Kardom (= M110A2) & 170mm Romach. Although the latter is by all aspect a usual M107, it doesn’t share the stats of those already present ingame. The reason being that Israel was using specially-made ERFB ammos, granting it extra range and accuracy. – Israel’s air defense relies heavily on American weapon systems. The backbone of which is the Hovet, a.k.a American M163 PIVADS. A late (1995) indigenous upgrade of the previous vehicle led to the development of the Machbet prototype, improving its radar detection and adding Stinger to its main weapon. – another SPAAG, without radar guidance (hence impervious to SED attack), is the light BTR-152 TCM. As other vehicles of Soviet origins, BTR-152 were captured in large quantities from the previously defeated Arab armies, and pressed back into service. This variant mounts a twin 20mm AA gun. – Drakon is merely the Israeli service name for the American Chaparral in IDF’s service. – on top of those, the Israeli air defense fields Shenav (Hawk) & Shenav II (Hawk PIP-II) radar-guided SAMs. – aside from tube artillery, the IDF also relies on indigenous MLRS to saturate enemy positions. The first and oldest of which is the MAR-240, mounting thirty-six 240mm rails on an old Sherman chassis. Ingame it will be equipped with incendiary ammunitions. – the MAR-290 mounts four long range 290mm HE rockets on a more resilient Sh’ot (locally upgraded Centurion) chassis. 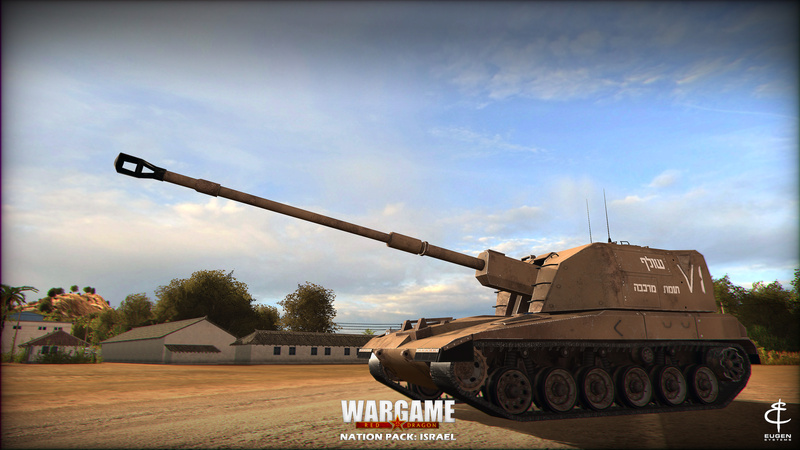 – finally, the lighter MAR-160 mounts a thirty-six 160mm rails on an old AMX-13), fitted with cluster rockets. – the PT-76B, salvaged from the Israeli-Arab wars’ defeated armies, were gathered into an IDF amphibious tank battalion. 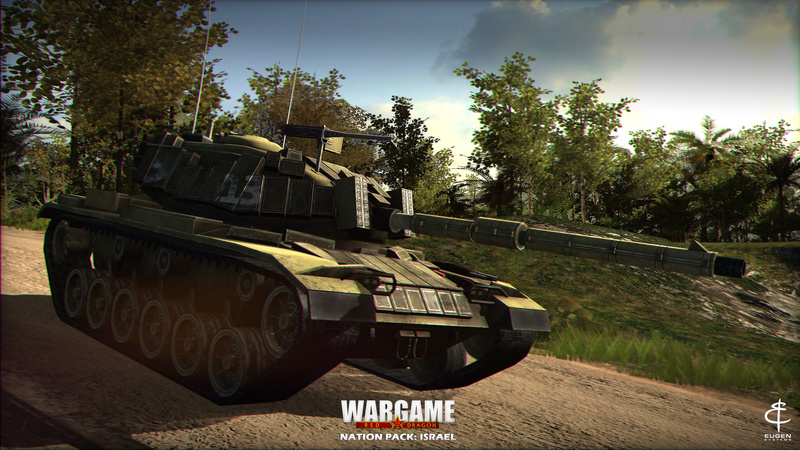 In Wargame, it will be Tzahal’s lightest tank, available in Marine & Airborne decks. 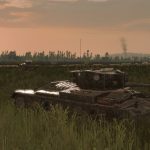 -Sh’ot tanks are locally modified British Centurion MBTs: the Sh’ot Kal mounts a 105mm and a much more powerful engine, while the later Sh’ot Kal Dalet is fitted with a new LRF and additional ERA armor. 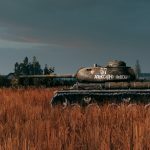 -Mag’ach tanks are locally modified American Patton MBTs: the Mag’ach 6 is a M60A1 RISE fitted with ERA bricks to improve its armor, while the Mag’ach 6 BET GAL introduced a locally build FCS. The most modern of the family is the Mag’ach 7C Gimel, with a completely redesigned (and more protected) turret. – but Tzahal wouldn’t be Tzahal without the famous Merkava tanks. 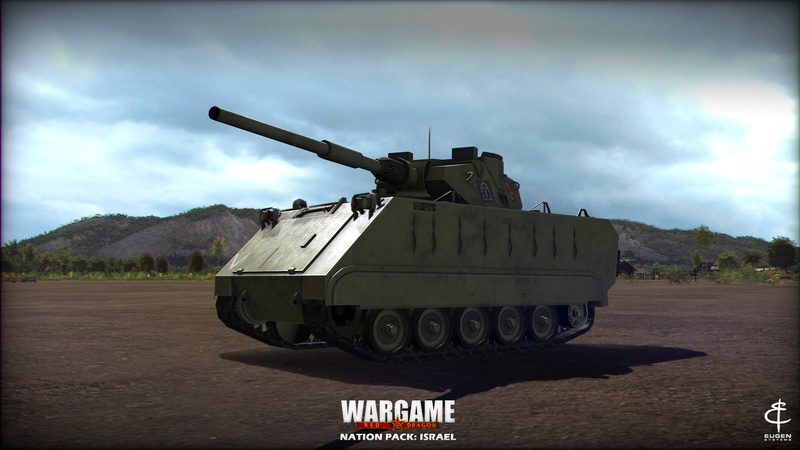 The first of which ingame is, as expected, the Merkava I, available from 1979, hence all-era. – and finally, the Merkava III D Baz with additional modular armor and LAHAT gun-missile. – armed with one 12,7mm & two 7,62mm machine-guns, the M325 Patrol light truck will provide the IDF with a light recon element. – one of Israel’s indigenous design, the RAM armored scout car will provide Tzahal with several recon vehicles. The first one, armed with a single 12,7mm machine-gun, is the RAM Recce, a recon APC. It means it is a recon vehicle all by itself … but also transporting a 5-men recon squad. – the RAM AT replaces the previous variant’s passenger accommodations with a M40 106mm recoilless rifle, giving this recon vehicle some “teeth”. – last of the RAM family, the RAM TCM is mounting a twin 20mm AA gun, allowing this scout car to double as a light SPAAG or fire support vehicle. – the HVMS is a prototype vehicle mounting a high-velocity 60mm gun on a M113 chassis. Acting as a light recon tank, it is formidable against armored vehicles’ columns, yet too lightly armored to engage MBT and lacking HE rounds or MGs to deal with infantry. – another “trophy tank”, the Tiran-5 Blazer is a T-55 MBT salvaged from the defeated Syrian & Egyptian armies in the previous Israel-Arab wars. 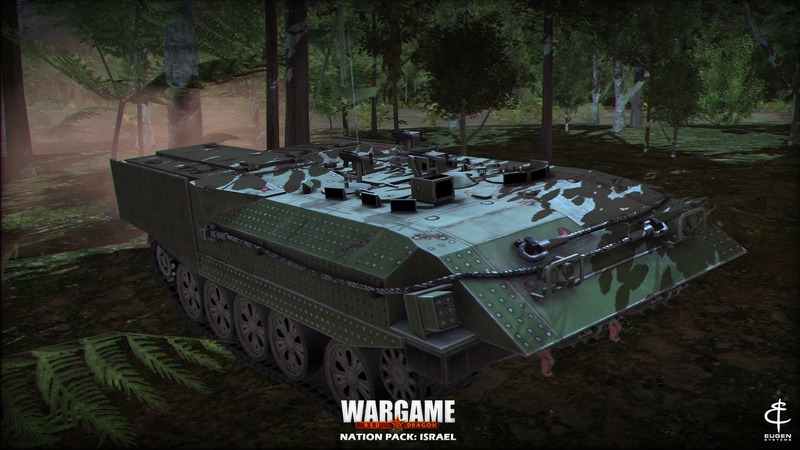 Pressed back into service into the IDF, it is now fitted with a NATO 105mm gun and Blazer ERA armor. – civilian version of the OH-58 Kiowa, the Bell 206, known locally as Saifan, is Israel’s only aerial recon. – regarding infantry scouts, the Bedouins trackers, acting as border guards, provides the IDF with the usual 5-men recon squad. Yet, unlike any other country, they are completely deprived of anti-tank weapon, favoring an extra antipersonnel one (M14 scoped rifle). – and last but not least, Maglan squads will act as long range recon/kill team. Being special forces, they come as a 10-men unit with lethal close-quarter weapons, but also a medium-range ATGM (Spike-MR). – vestige of its previous wars with its neighbors, Israel keeps a strong & versatile fleet of anti-tank units. The ligthest ones are, as usual, ATGM jeeps: Djapas Orev (= M151A2 TOW), Hamer Orev (= Humvee I-TOW) and Hamer MAPATS (= Humvee with MAPATS missile, a local variant of TOW-2). – Giraffe TOW is the local service name for the M150 weapon systems, although the Giraffe I-TOW is built on the more armored Zelda chassis (see below). – finally, Hafiz is an indigenous weapon system, mounting six ready-to-fire Spike-NLOS long range ATGM on a M113 chassis. The Pereh, although disguised as a MBT, is actually an improvement over the Hafiz, mounting twelve ready-to-fire of the same missile on a M47 chassis with a fake main gun. – Israel’s basic soft skin transport is the unarmed M325 Nun-Nun light truck, later complemented by the MG-armed Hamer (= Humvee). The last remaining wheeled transport is the armored BTR-152. – Miluim (reservists) have their own transport, the WW2 relic Zachlam (= M3 half-track). 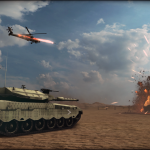 – the backbone of Tzahal armored transport force is built around the ubiquitous American M113 APC: Bardelas is a M113A2 with extra-MGs, while Zelda is an uparmored version of the former. – one of the IDF’s distinctive features is the extensive use of heavy APCs built from obsolete MBTs: the Nagmachon is built from a Sh’ot/Centurion hull, with a superstructure built on top, while the Achzarit is from a Tiran-5/T-55 one. Those vehicles are bringing the level of protection for their passengers to that of an early MBT. – while Israel doesn’t have a single IFV, it has another interesting feature to compensate: its ability to use Merkava IIA MBT as transport for a limited number of troops. Thus, soldiers can ride into battle in a full fledge MBT, yet at the expense of most of its main gun’s ammunitions. 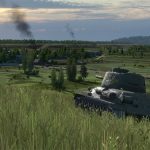 – one of Tzahal’s most iconic vehicle will be the M51 Isherman, an old WW2 Sherman heavily upgraded (new engine, new suspension, a new turret mounting 105mm gun). It is here used in a fire support role. – the main transport helicopters available to the IDF are the usual Bell 205 (= UH-1 Huey) & Anafa (= Twin Huey). – the last one of Israel’s transport helicopter is quite an oddity: the Yas’ur Nimrod is a CH-53 armed with four heavy Nimrod anti-tank missiles. Dedicated to special forces insertion and support, it only comes in very small numbers with Maglan & Shayetet 13 elite squads. – for anti-tank warfare, Israel relies mostly on local MD-500 TOW Defender variants: the Lahatut TOW & Lahatut MAPATS. – more versatile, the AH-1 Cobra also comes in two gunship variants: Tzefa B rocket support & Tzefa E with a mixed AA/rocket loadout. – finally, the ultimate asset among Israeli combat helicopters is the Peten (= AH-64 Apache) armed with a classic anti-tank loadout of sixteen Hellfire missiles. – at the beginning of Wargame‘s timeframe, the IAF still relies heavily on French planes, especially Mirages. 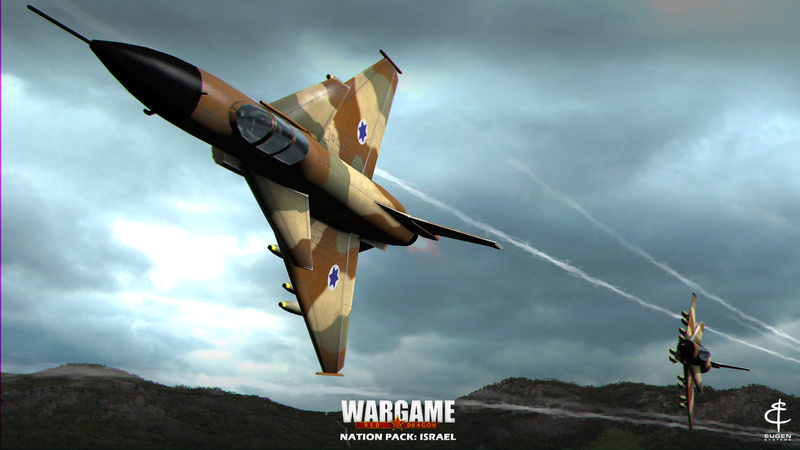 But for the Shahak (= Mirage III) in an early game’s fighter configuration, all the other variants are now dedicated CAS/bomber planes: Nesher (= Mirage V) with rockets, Kfir C.2 & Kfir C.7 (= indigenous Mirages) as napalm & HE bombers respectively. – since the war of 1973, Israel also keep a fleet of SEAD-capable aircraft (with AGM-45 Shrike) in the form of the Ayit (= American A-4 Skyhawk). – the F-4E Phantom II was also introduced in the IAF inventory just after the war of 1973, under the name Kurnass, as a LGB bomber in Wargame. Later upgraded as the Kurnass 2000 and armed with AGM-78D Standard, it replaced the Ayit in the SEAD role. – around 1980, Israel started acquiring F-15 under the names Baz (= F-15A) & Baz Meshupar (= F-15C) as pure fighter aircrafts, while the Ra’am (= F-15I) is used as multirole bomber with LGBs. – another American design in use since the 80’s is the F-16, as Netz (= F-16A) & Barak (= F-16C Block 30) as multirole aircrafts, while the late Barak II (= F-16C Block 40) comes with an air superiority loadout. – and last but not least, the Lavi, the ‘Israeli plane which never was’. This indigenous “baby F-16” never went into production, but is given its chance in Wargame, as a “HE bomb train”. Many, many excites! 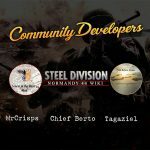 Can’t wait what the community chooses next for a desired nation, hoping Redfor get’s something! It will be a double ‘Nation Pack: Finland + Yugoslavia’ for REDFOR. They’ve already been picked and will be coming in a single two-nations pack. Do you have an indication when they will be available? Baby of f-16, father of J-10 🙂 Eugene should add J-10 to the Chinese deck. How come Spike-LR is used then? Gavnuni? Maybe you meant Golani? No, Gavnuni is the name of the M47 Dragon in Israeli service. Will you add some campaign? If yes,when? Maybe you have a plan to made a modern 1990-2020 Wargame? Or II World War? Will you desire the military’s gear to be the modern ? and When you up a modern 1990-2020 Wargame on sell board ? Wargame in a modern setting with improved graphics is my absolute favourite! I’m sorry, but we can’t read, understand nor moderate Chinese language. Thanks!!! I’ll be waiting 🙂 When you reveal some information about this? 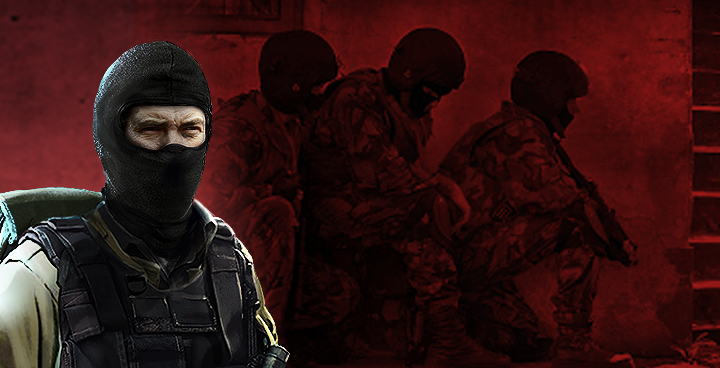 Will you make All Nation Packs or Another Nation Packs in the circle ? Ok, so the Israel has very nice deck with quite a lot interesting weaponry, but here is my question. Will you modernize other decks? Especially the US, since it does not even have a proper infantry ATGM, delta force is way under-powered and rifleman are pretty much useless. You have introduced Spike missile, time to introduce the Javelin too!